The Perkins SmartCap replaces the engine’s conventional oil filler cap, is available for less than $50 and gives engine info ranging from running hours to location. Today’s off-highway diesel engines are impressively sophisticated and small. Engineered into equally intricate and compact construction equipment, these diesels are powerful, efficient, cost-effective and clean. Advancements like electronic control systems with high-pressure common rail systems deliver unparalleled performance and precision — faster responses and more optimized power. A variety of high-tech aftertreatment systems with acronyms like SCR, DPF and EGR are now incorporated to clean pollutants. Multifaceted options like silent packs, intelligent turbochargers, radiators and air cleaners can be included. Despite all these complex technologies, off-highway diesel engine makers are still heavily focused on connecting both dealers and customers to simple solutions for these complicated power plants. Manufacturers are designing common platforms across power ranges for easy installation and maintenance. 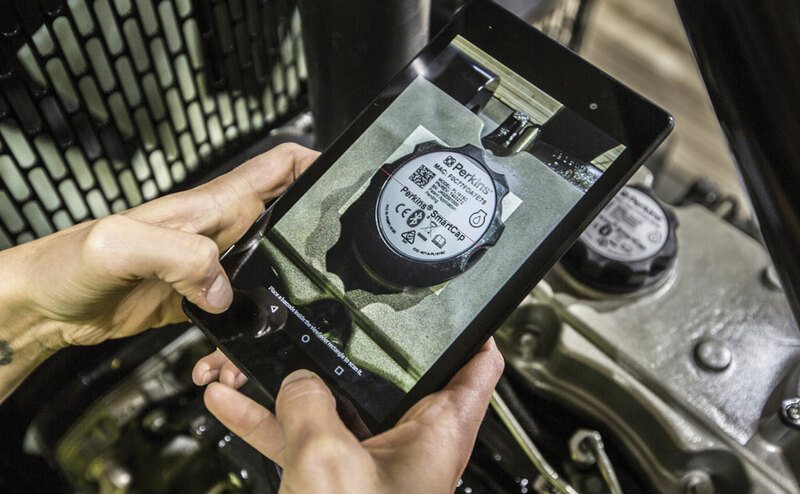 Engine experts are launching service-driven online portals and apps to interface owners and dealers with engine data and maintenance options, and they’re also building out impressive parts and dealer networks to deliver service solutions with care and quickness. Emissions regulations are different around the world. Some regions in Africa did not require aftertreatment and use different grades of diesel fuel. Europe, on the other hand, has some of the most stringent pollution regulations in the world, and its Stage V standards require most off-highway diesels to have a diesel particulate filter or DPF. In the United States, the EPA’s Tier 4 Final emissions regs are almost equally complex but don’t necessarily require a DPF. Keeping up with regional regulations and the high technologies involved with each is difficult, so engine makers like Kohler have created global emissions platforms. Engine companies across the market are doing the same thing. Hatz’s three- and four-cylinder diesels in its H-Series are designed on a modular platform to fit a wide range of applications in different countries, with the ability to include state-of-the-art technologies like a diesel oxidation catalyst (DOC) or a DPF when needed. Off-highway diesel engines work long and hard. Because of that, every unit eventually breaks down. To minimize such downtime, experts like Perkins Engines are building e-commerce networks to quicken service and parts orders. The U.K.-based engine manufacturer, owned by Caterpillar, has invested heavily in the American marketplace in the form of its Perkins North America Regional Logistics Centre (RLC), a partnership with UPS located in Elizabethtown, Ky. The RLC gives U.S. Perkins customers and North American distributors the rapid and reliable ground or air shipping options they require: choice of ground shipping or next-day and two-day air. The RLC gives machine professionals the flexibility and pace they require. These facilities and services are matched with an online marketplace where both dealers and contractors can easily order parts — oil, filters, fans, water pumps, alternators and beyond. In 2017, Perkins announced the launch of its new online platform called perkins.com/shop and a mobile app called the Perkins My Engine App. Targeted at rental businesses, repair and engineering shops and just general machine owners, the online shop allows U.S. customers of Perkins engines to buy genuine Perkins parts over the internet easily and quickly, which can be flexibly delivered by UPS. Perkins isn’t the only engine maker focused on the online buying and service experience. In December of 2018, Hatz released Smart Parts. 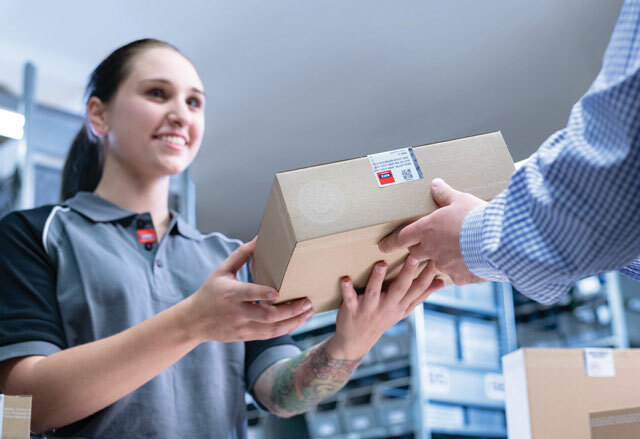 In 2018, Hatz released Smart Parts, which provides customers and distribution partners with an intuitive online solution to search for documentation and order replacement parts. Pros can simply use their preferred Hatz scanner app on a mobile device to capture the QR code on the engine, and the right web page of the corresponding Hatz engine model is quickly displayed. Smart Parts gives machine operators and distribution and service partners simple, quick and reliable access via mobile phone or tablet to replacement parts lists, handbooks, operating instructions and even engine tips. Like its counterparts, Deutz recently rolled out its digital service portal to an international audience (deutz-serviceportal.com). The Deutz portal offers a modern e-commerce platform and makes it significantly quicker and easier for them to obtain original spare parts and service parts. To complement that portal, Deutz also has a great app called Deutz Connect, which won a Red Dot design prize. The free app gives operators of construction equipment, tractors and other machinery access to engine data and the fault memory in the field via Bluetooth and sends this information to the appropriate dealer with a single click. Similarly award-winning, Perkins took home an Edison Award for its SmartCap technology and app. Installed simply by replacing the existing oil filler cap, the Perkins SmartCap can be used on new and existing Perkins mechanical and electronic engines. It allows end-users to connect their mobile device to their engine via the free Perkins My Engine App. When combined, the Perkins SmartCap and My Engine App will give customers truly simplified engine information, including engine running hours, engine location, service reminders, service logs and parts. Despite all these interactive engine developments, understanding and maintaining your high-tech off-highway diesel engine will still require the assistance of a distributor or dealer. As an example: Kohler has more than 1,000 dealers throughout North America, waiting to help its OEM dealers and end-users. If you don’t know where your nearest Kohler diesel dealer is located, just surf over to kohlerengines.com and find the closest one. These dealers all stock genuine Kohler replacement parts and offer factory-trained technicians to ensure each job is performed at the highest level. Of course, engine makers will continue to innovate. Kohler just recently launched an updated version of its web-based iService program, which offers enhanced functionality to guest users. Distribution networks will continue to grow. Perkins announced a big distribution agreement with Clarke Powered Solutions in the United States last year. Clarke now provides sales, service and full distribution support for Perkins in the Midwest and Northeast, managing 44 locations throughout its 24-state territory. Technologies and options will continue to expand. Hatz recently announced the launch of its new Silent Pack for the H-Series of three- and four-cylinder engines for the first time. The market will continue to evolve. Computer-aided diagnostics, while feared by many, have really been revolutionary in streamlining the engine repair process. Loader powered by a Hatz 4H50TIC diesel. Keith Gribbins is publisher of Compact Equipment. One-canister solutions are a different way of packaging the same technology. 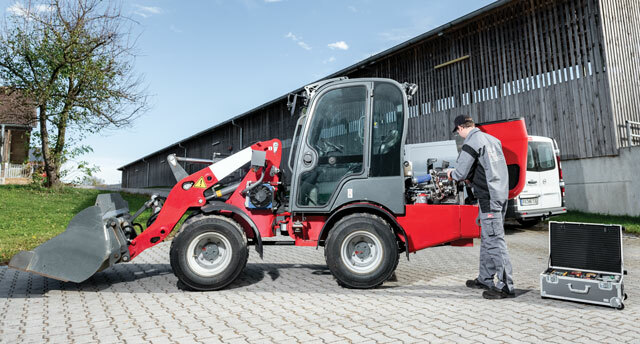 They are popular for on-highway engines, but in construction machines it is often harder to find a place for one large unit than two smaller ones. Overall, worldwide there is a trend to DPFs, and it is highly probable that more than 50 percent of diesel engines produced in the world today are fitted with them. As products are upgraded to meet emissions standards like EU Stage V, and as concerns about DPFs recede, customers may move toward DPFs to get the benefits of the latest technology and additional upgrades such as power density and decreased fuel consumption. The trend across the board is toward smaller aftertreatment systems. For example, Perkins’ new Stage V 1204J engine has a Stage V solution with the DPF in the same space as the previous Tier 4 Final solution with no DPF, enabling customers to have a common product for higher regulated areas.